1. 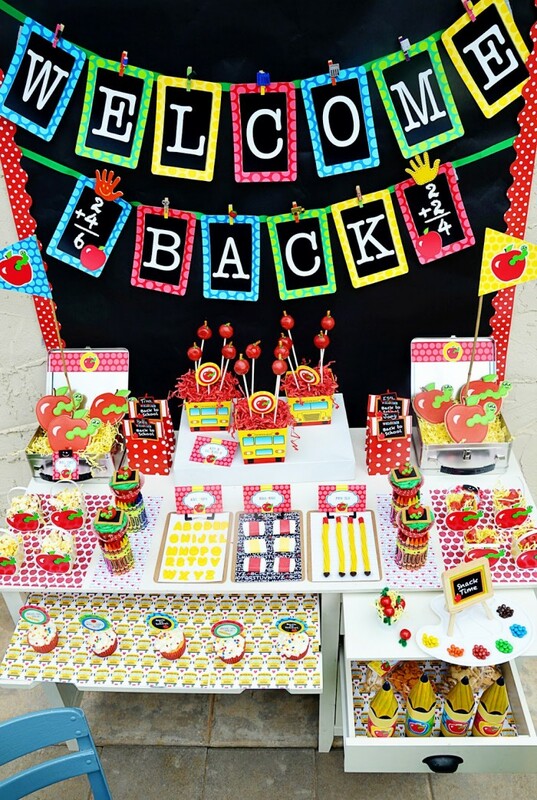 This fun Back to School party is so cute and has some free printables! 2. 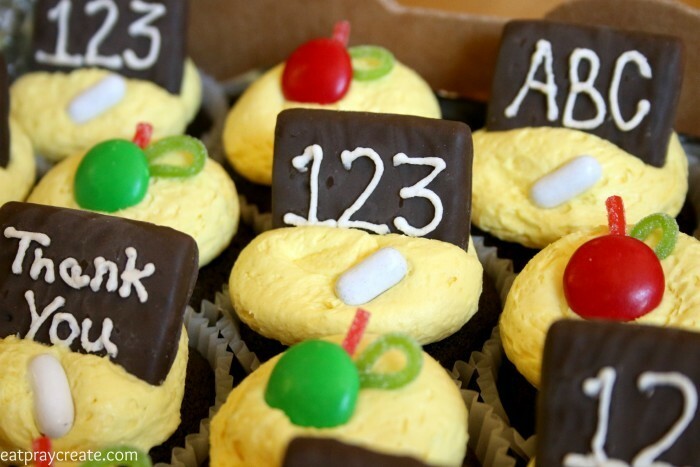 Check out my Teacher Cupcakes Idea – Including a step-by-step on how to make them! 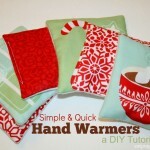 Perfect for teachers or a back to school party! 3. 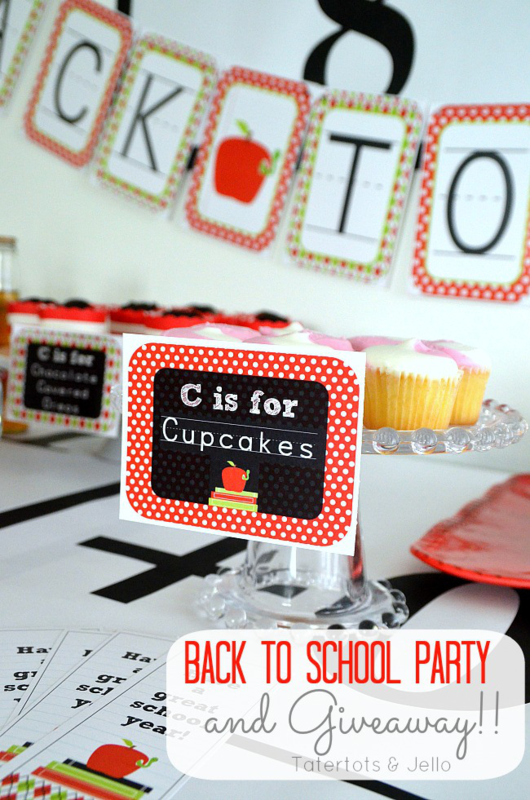 Amanda’s Parties also share some cute free printables for this adorable Back to School Party! 4. 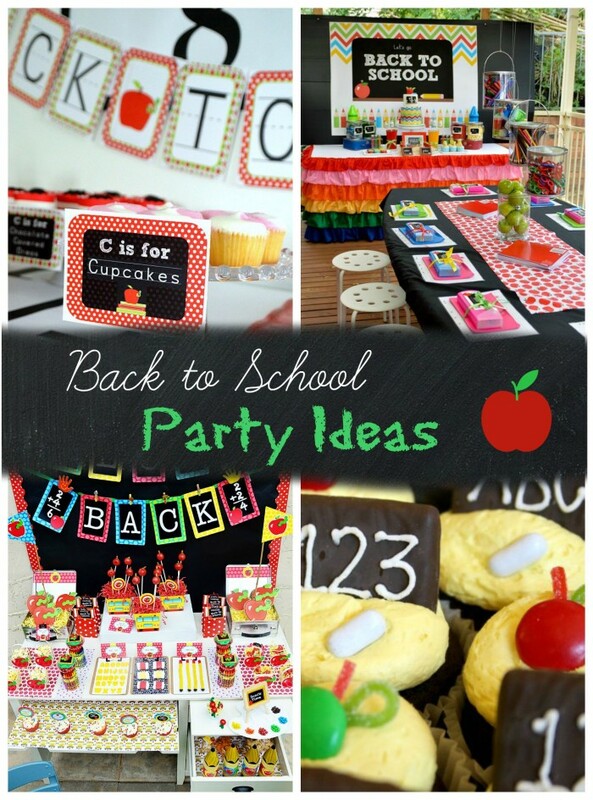 Sara from Mom Endeavors has got some Simple Back to School Party ideas on her blog! 5. 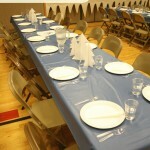 Kara’s Party Ideas are the incredible! 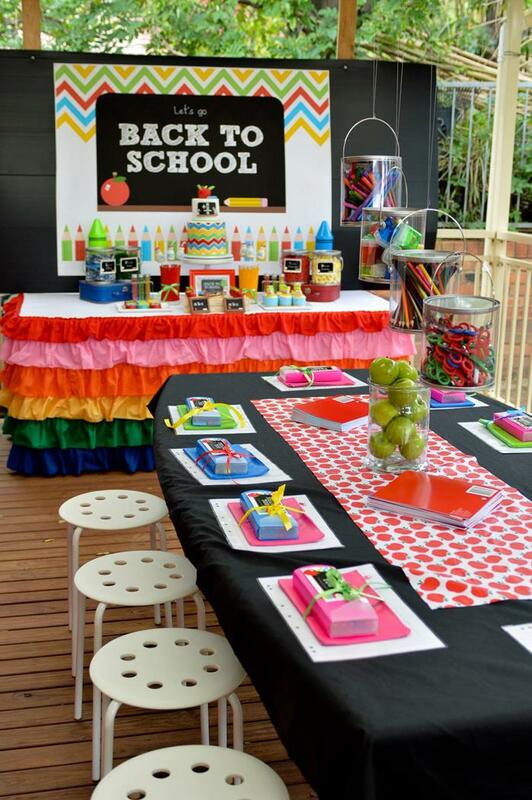 And this Chevron Back to School Party is no exception! 6. 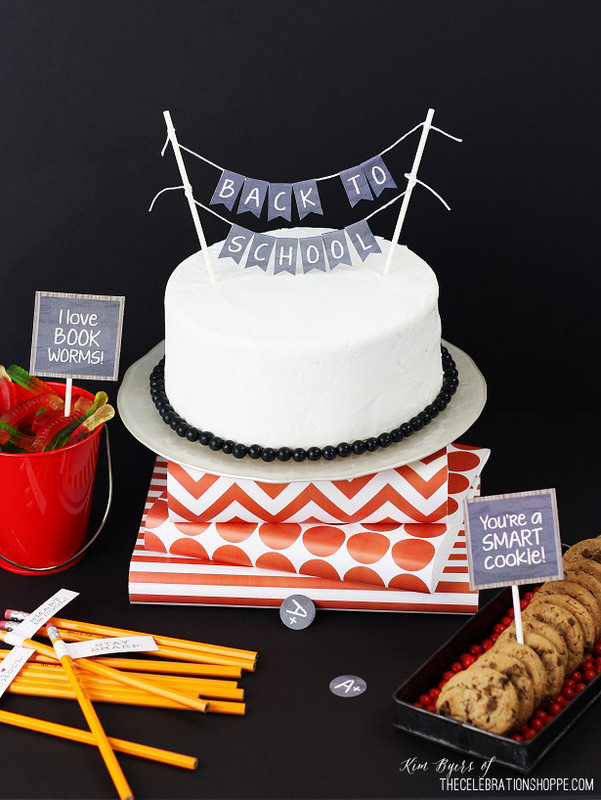 The Celebration Shoppe has got some awesome chalkboard printable for your Back to School shindig! 7. 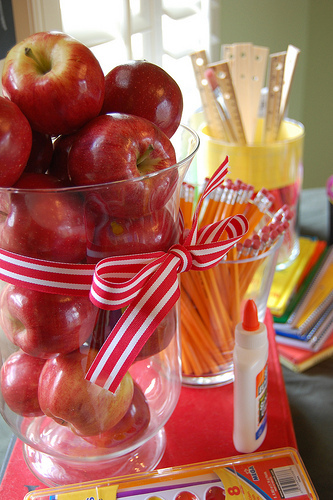 Here are some more simple and cute ideas for your Back to School Party. 8. 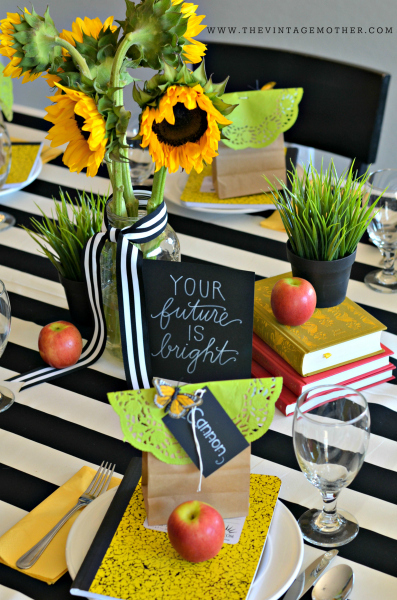 A Back to School Dinner seems like a really fun tradition to start with the kids! 9. 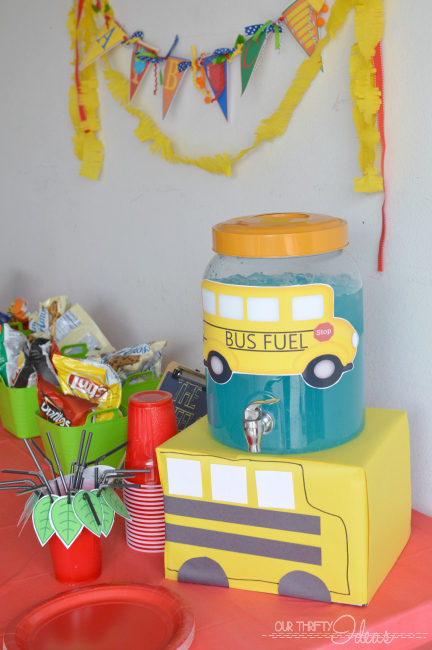 Check out these adorable School Bus and Apples Cup decorations! So cute! 10. 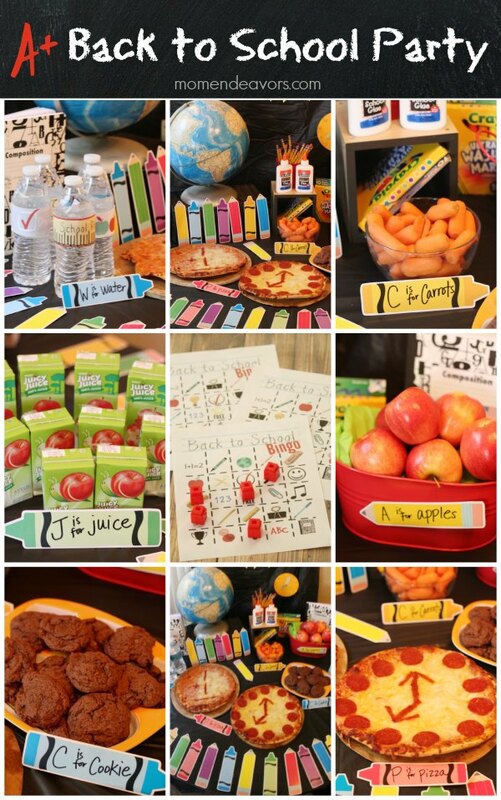 And finally another adorable Back to School Party from Kara’s Blog! 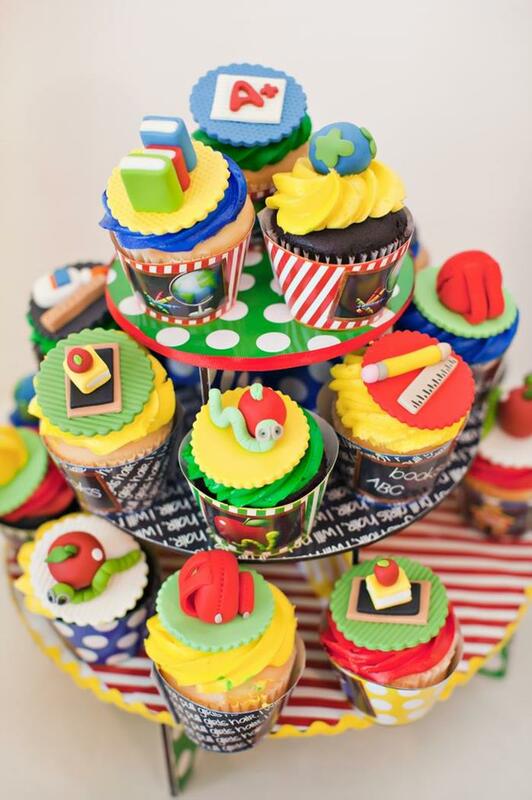 The treats look divine! 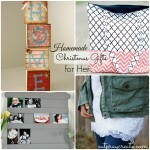 I hope you enjoyed all these wonderful Back to School Ideas! 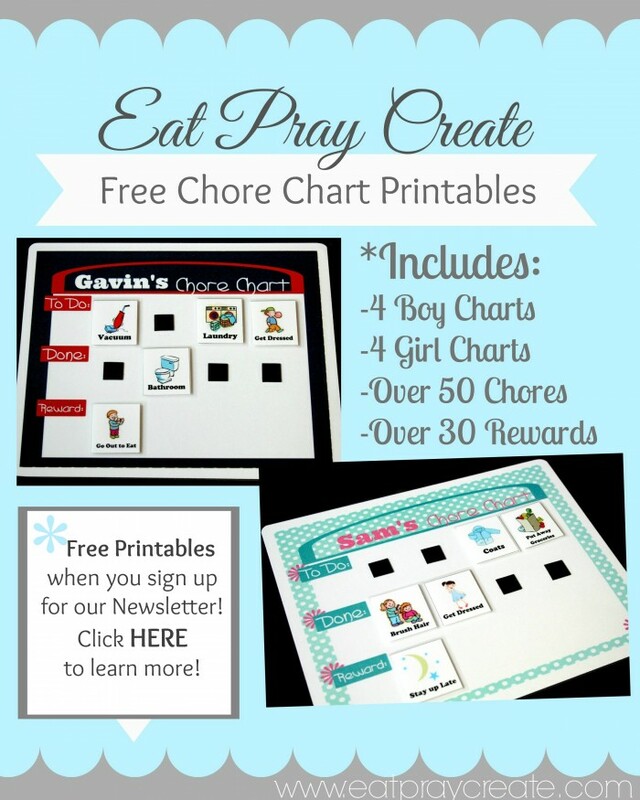 Let me know if you have any fun back to school ideas you’d like to add! I would love to hear from you. Contact Me. 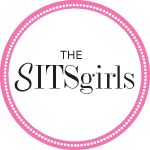 Click Here to see all the fun linky parties I link up to.